November events around NOLA you do not want to miss! Southern Food & Beverage Museum, 1504 Oretha Castle Haley Blvd. Weekly cooking classes and lunch demonstrations in the state-of-the-art Rouses Culinary Innovation Center by Jenn-Air. Learn about the food of New Orleans and Louisiana while you eat an amazing lunch in the museum! Tickets available at natfab.org. Continues Nov. 5, 8, 12, 18, 19, 26, and 29. City Park Botanical Garden. A New Orleans based band modeled on the 60s Vegas Swing Era. They will perform classic big band numbers by Frank Sinatra, Louis Prima, Dean Martin, and Bobby Darin as well as contemporary artists like Michael Bublé, Billy Joel, and Harry Connick, Jr. $10/person. 6-8 pm. Marigny Opera Ballet, 725 St. Ferdinand St. The season opens with a scintillating comedy following identical twins lost in a shipwreck and found again on the shores of New Orleans in 1915. $32/Students & Seniors, $45/General Admission. 8-9 pm. Continues Nov 2-4. 1772 Prytania St, New Orleans. Peruse Scandinavian Christmas items as well as local handmade products, enter a silent auction or raffle, sample traditional foods, attend cooking demonstrations, listen to music and more. 10 am-5 pm. Continues on Nov. 3. St. Louis King of France School, 1600 Lake Ave., Metairie. From amazing food vendors and top-notch entertainment to spectacular carnival rides and the Little Shrimper Village for children to enjoy, this is always the best weekend in Bucktown. Free and open to the public. Time varies by day. Continues on Nov. 4. Smoothie King Center. The tour will feature special guest Kelsea Ballerini as Urban’s supporting act. Tickets available at ticketmaster.com. 7:30 pm. Rivertown Theater for the Performing Arts, 325 Minor St., Kenner. A musical & comedic celebration of the New Orleans Tricentennial! Ya gotta be nuts to live in New Orleans, and here's the historical proof! Celebrate 300 nutty years of New Orleans with the creators of Ditzyland, Steel Poinsettias, and Hello Dawlin'! Showtimes Friday and Saturday at 8 pm and Sunday at 2 pm. Continues Nov. 3-4, 9-11, and 15-18. 46468 River Road, Hammond. A festival, theme park, theatre, holiday shopping destination, and educational experience, all rolled into one great adventure in the English “Village of Albright.” Single day pass $20/adult, $12/child, free admission for children under 6. For more information, visit larf.net. 9:45 am- Dusk. 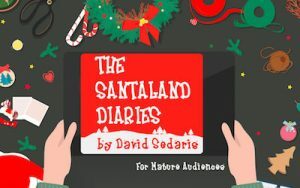 Continues Nov: 4, 10-11, 17-18, 23-25, Dec: 1-2, and 8-9. Pythian Market, 234 Loyola Ave., New Orleans. Treat yourself to a variety of brunch offerings from our 13 different vendors while sippin' on $6 mimosas and $7 bloody marys from Bar 1908. 11 am-3 pm. Freret Street at Napoleon Avenue. Enjoy live music as 90 vendors sell art, wearables, crafts, food, and produce. Pet adoption also available. 11 am-4 pm. Covington Trailhead, 419 N. New Hampshire St. Enjoy some family fun, shopping and mingling. Get ready for the holidays. There will be over 50 vendors to shop from. Free admission. 11 am-4 pm. Mahalia Jackson Theater, 1419 Basin St. Relive the music of Led Zeppelin as the Louisiana Philharmonic Orchestra, Randy Jackson, and conductor/arranger, Brent Havens, team up to perform Led Zeppelin’s greatest hits including “Stairway to Heaven”, “Kashmir”, “Black Dog”, “Good Times Bad Times”, and “All My Love”. Tickets vary by seat location. 7:30 pm. Mercedes-Benz Superdome. Purchase your tickets at ticketmaster.com. 3:25 pm. AllWays Lounge, 2240 St. Claude Ave. Every Sunday through December, local swing dance instructors offer a free community class. After class there is live, local music and social dancing. 8-9 pm. 300 N. Broad St, New Orleans. 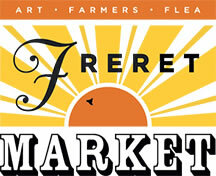 This weekly Monday market offers local produce, homemade kimchi, cocoe fruit leather, pesto and salad dressing. Continues every Monday through Dec. 31. 4-7 pm. Paradigm Gardens, 1131 S. Rampart St. Tucked away in a lush garden oasis lies a little yogi sanctuary. As the weather cools down and the garden grows green, the goats are ready to play! $23/ticket. 6-7 pm. Continues on Nov. 12 & 19. Flamingo A-Go-Go, 869 Magazine St. They've got questions...let's see if you've got the answers. Grab the flock & your knowledge of useless facts for a chance to win Flamingo A-Go-Go gift cards. Every Tuesday through Dec. 25, 7:30 pm. BB's Stage Door Canteen, 945 Magazine St. The salute to “Ol’ Blue Eyes” features Stage Door Idol 2016 Spencer Racca backed by the Museum’s Victory Trio. $40/person. 11:45 am-2 pm. Mid-City Lanes Rock n Bowl, 3000 S. Carrollton Ave. 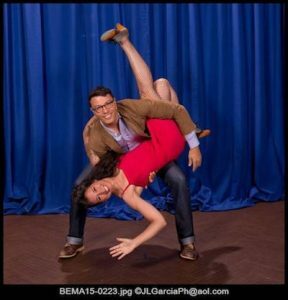 Swing Dance Lessons by Giselle Anguizola. Open to all levels. $20/class/student or $60 for all four classes. Take a class and Rock n Bowl waives the $10 cover charge for that evening’s entertainment! 6:30 pm. Continues on Nov. 14, 21, and 28. New Orleans Museum of Art. In celebration of The Orléans Collection, NOMA welcomes acclaimed musicians Vance Woolf (trumpet), Cara McCool Woolf, and Dustin Gledhill (piano), to the Great Hall for an evening of music inspired by the visual and musical arts of the 17th and 18th centuries. $15/person, $10/ members. 7-9 pm. City Park Botanical Garden. The “Boogiemen” will perform the music of Frank Sinatra, Michael Bublé, Harry Connick, Jr. and more. $10/Person. 6-8 pm. La Petit Theatre, 616 St. Peter St. An evening of French Baroque opera, a musical feast featuring selections of artwork from the New Orleans Museum of Art and performances by Marigny Opera Ballet Company. Ticket prices starting at $50. Thursday and Friday, 7:30 pm. Saturday and Sunday, 2:30 pm. 8245 W Judge Perez Dr., Chalmette. The Bayou Road Balloon Festival will again fill the Sidney D. Torres Memorial Park in Chalmette with 3 days of fun, thrills, evening hot air balloon glows & tethered rides, local seafood dishes, local & national bands, artisans, crafts, exotic kites shows, craft beers, wines, carnival midway, and more. $5/1-day ticket or $10/3-day weekend pass. Continues on Nov. 11. National World War II Museum, 945 Magazine St. Enjoy a fun night including food, beverages, and entertainment as well as access to the Museum’s pavilions and exhibit galleries throughout the evening. For more information, visit victory-ball.org. $100/person, $50 for active-duty military. 7 pm. Yulman Stadium. Come celebrate Homecoming as Tulane plays against ECU. Time TBA. Baby Cakes Field, 6000 Airline Dr., Metairie. Participants will complete a 3-mile walk and will learn about Alzheimer's disease, advocacy opportunities, clinical studies enrollment and support programs and services from the Alzheimer’s Association. Walk participants also honor those affected by Alzheimer's disease with the poignant Promise Garden Ceremony. Enjoy great music, food and local vendors. For more information, visit act.alz.org. Registration begins at 8 am. Kawanee Avenue, 3711 Power Blvd., Metairie. The parade will roll from Power to Transcontinental. Concert to follow at the end. Food and drinks will be sold with all proceeds going to Wounded Warriors/Veterans. 9 am. 13034 River Rd, Destrehan. There will be over 100 vendors on the Plantation Grounds so you can get all of your holiday shopping done early. Live music, food, drinks, arts, & crafts. 9 am-4 pm. Continues on Nov. 11. 527 E Boston St. #102, Covington. Juried art show with over 200 artists from 25 different states, food, music and more. Don't miss the 'Meet the Artist' and free concert at night in historic downtown Covington! 10 am-5 pm. Continues on Nov. 11. Harrah’s Casino New Orleans. Featuring the great Patrick Myers as Freddie Mercury, the tribute act will be performing all your favorite Queen songs, such as "Another One Bites the Dust," "We Will Rock You," "Don't Stop Me Now," "Bohemian Rhapsody" and plenty more. Don't miss this premier tribute to one of the best bands of all time! Tickets available at ticketmaster.com. 8 pm. 945 Magazine St. Join as the museum honors all of our nation's veterans with a commemorative morning ceremony and special presentations throughout the day. This event is free and open to the public, and all veterans, reservists, and active-duty service members receive free Museum admission. New Canal Lighthouse, 8001 Lakeshore Dr., New Orleans. This special Veterans Day event combines admission to the Lighthouse Museum and access to walk the top deck of the Museum’s restored WWII patrol-torpedo boat. 10 am-4 pm. Oak Street, New Orleans. Come one, come y'all to the Oak Street Po-Boy Festival in Uptown New Orleans. More than 50 vendors will offer up their takes on New Orleans' favorite sandwich. Great food, great music, great art. Another great day in New Orleans. 11 am-6 pm. New Orleans JCC, 4342 St. Charles Ave. Join the JCC and Zeus' Rescues for a community-wide event. 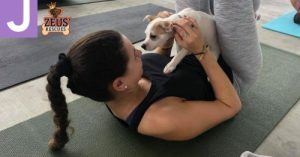 Yoga instructor Jessy Fedie-Garcia and local pet shelter, Zeus' Rescue, are partnering to offer our community a Vinyasa Flow Yoga class while Zeus' adoptable dogs roam freely! Meet under the Bart Family Pavilion for a wet-kissed flow followed by some meet and greets and light refreshments. Free for everyone. Registration is required. 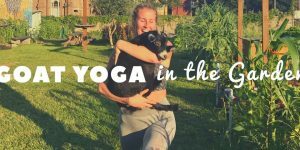 Please bring your own yoga mat and leave your furry friends at home! Register at nojcc.org. 11:30 am-1 pm. 1150 Robert Blvd., Slidell. This class will teach cooking skills needed to prepare easy recipes that not only taste good, but will also help develop healthy eating habits. Brett Monteleone is a chef from South Louisiana and will serve as the instructor of this class. For pricing and enrollment information, please call 985.280.6665. 3-4:30 pm. City Park Botanical Garden. You can’t say Benny, “Aint Dere No More,” because he will be right here in the garden performing his New Orleans hits as only “Benny Grunch and the Bunch” can do. Always entertaining, full of surprises and new songs. $10/Person. 6-8 pm. New Orleans Museum of Art. Each season, the New Orleans Opera presents the finest young local and regional singers in casual, 90-minute concerts of opera, Broadway and more. 6-9 pm. City Park Botanical Garden. This dazzling soiree kicks off the annual lights display. Guests get the first glimpse of the lights and are given exclusive access to the Botanical Garden and Train Route. Enjoy food and spirits from over 30 restaurants while dancing to live music. $100/Person in Advance, $120/Day of Event. 7:30-11 pm. 400 Esplanade Ave. Come for the artisan selection of 100+ cheeses and wines, stay for the music and more. 11 am-5 pm. Louis Armstrong Park, 701 N. Rampart St. 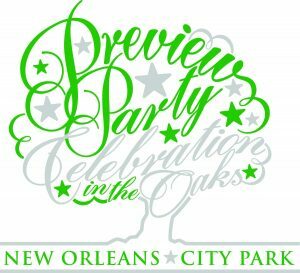 Listen to New Orleans’ premier brass band showcase while enjoying some delicious gumbo in a beautiful downtown park. 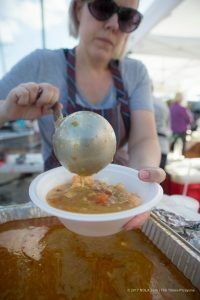 A smorgasbord of food vendors will be offering all kinds of gumbo as well as cooking demonstrations. 11 am-7:30 pm. Continues on Nov. 18. Bogue Falaya Park, 213 Park Drive, Covington. The 2nd annual festivalcelebrates the array of diverse musical talents rooted in our community and offers new and upcoming musicians an opportunity to showcase their work along with highly esteemed veterans of our music community. $20 general admission. 11 am-9 pm. Home of Allyson & Mike Sanderson, 18447 Three Rivers Rd., Covington. 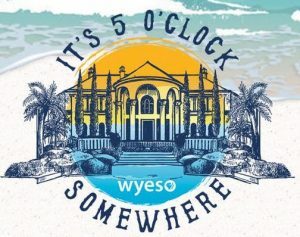 Inspired by Jimmy Buffet’s relaxed mantra, don’t miss WYES’ next big event on the Northshore at one of the largest houses in Louisiana. Tickets available at wyes.org. Patron Reception begins at 5 pm. Longue Vue House & Gardens, 7 Bamboo Rd. 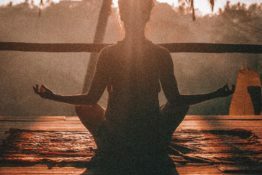 Gather at Longue Vue for an all-levels yoga session led by Pilates & Yoga Loft in one of our tranquil gardens, or in the event of inclement weather, inside our vibrant Playhouse. Guests may tour our gardens afterwards. $10 or FREE for Members. Guests are encouraged to bring their own yoga mat. 10-11 am. Mercedes-Benz Superdome. Purchase your tickets at ticketmaster.com. Noon. Preservation Hall, 726 St. Peter St, New Orleans. The film, narrated by the late jazz historian William Russell, is a superb study of the history and men who played New Orleans Jazz through the eyes of one of its greatest trumpet players: Punch Miller. $20-$50/Person. 4:30-7:30 pm. Ritz-Carlton, 921 Canal St. Join the Ritz-Carlton as they unveil the hotel's ornate holiday decorations with a ribbon cutting reception in the festive lobby. 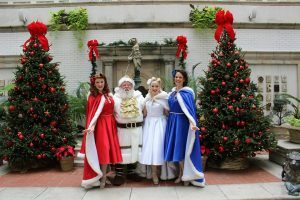 Enjoy holiday refreshments and appearances from Papa Noel and the Victory Belles. Free. 11 am. The Downtown Development District and the Astor Crowne Plaza invite everyone to come out as they “flip the switch,”turning on more than 1 million twinkling lights on historic Canal Street and throughout Downtown NOLA. The Voices of Peter Claver and a special visit from Santa Claus will accentuate this year’s event! 5:30 pm. 5400 Stadium Dr, New Orleans. The course starts at Tad Gormley Stadium and follows a 5 Mile path that winds through New Orleans City Park, finishing on the stadium's track. A kids' half mile event also starts and finishes at the same location. Ticket prices vary depending on registration date. 7-11 am. The Inaugural Tammany Turkey Trot will be held in downtown Covington, starting and ending at the Courthouse. This event will benefit the Northshore Food Bank. For more information, visit tammanyturkeytrot.com/register. 8-10 am. Mercedes-Benz Superdome. Purchase your tickets at ticketmaster.com. 7:20 pm. New Orleans City Park, 5 Victory Ave. Hung from the historic oak trees in City Park are hundreds of thousands of lights that turn 13 acres of park into a holiday wonderland. Enjoy amusement park rides, as well as hot chocolate and hot buttered rum for chilly (or even if it’s not) nights! $10/person, children 3 years and under are free. Fri.-Sat., 5-11 pm, Sun.-Thurs., 6-10 pm. Continues through Jan 1. Audubon Zoo, 6500 Magazine St. Audubon Zoo Lights will bring the holiday spirit to our community by creating an enchanting nighttime winter dreamland in the heart of Uptown New Orleans. $10/member, $15/general admission. Children under 2 years are free. Open on select nights through Dec. 30. 5:30-9:30 pm (last entry at 9 pm). Yulman Stadium. Join Tulane for their final regular season home game as they play against Navy. Time TBA. Audubon Park. The 1st Annual 5K will benefit Zeus' Rescues. Register now as an individual or a team at bywaterclothing.com/p/nola-dogs-to-the-rescue. $30/Individual, $25/Team. 8 am-noon. Lafreniere Park, 3000 Downs Blvd., Metairie. Features a Pet Adopt-A-Thon with 40 Shelter/Rescue groups offering over 400 adoptable pets, a Pet Health Watch area, FREE Pet Costume Contest with amazing prizes, pet marketplace, delicious local cuisine, great music and more. 11 am-4 pm. 3747 W. Esplanade Ave., Metairie. Free moving screening, drinks and snacks courtesy of the JCC. 12:30-2:30 pm. 1440 Moss St. Head to the historic waterfront Pitot House for a lovely evening of wine, snacks and music. 5-7 pm. Ogden Museum of Southern Art. Celebrate the opening of the latest exhibition BIGduring the museum’s concert series, Ogden After Hours. Free/Members, $13.50/Guest. 6-8 pm. 3000 Downs Blvd., Metairie. The park sparkles for the holidays with thousands of twinkling lights and displays. $5/vehicle. Open Sun.-Thurs., dusk-11:45 pm. Continues through Dec. 25. BB's Stage Door Canteen, 945 Magazine St. Ring in the holidays and enjoy classic holiday favorites sung in beautiful harmony. Optional dinner seating. For more information, visit nationalww2museum.org/events. 6-8:30 pm. The Outlet Collection at Riverwalk, 500 Port of New Orleans Place.The Downtown Development District and the Outlet Collection at Riverwalk are proud to present special outdoor movie showings. 6:30 pm. Teatro Wego,177 Sala Ave., Westwego.When a down-on-his luck wannabe actor arrives in New York City at the end of the year, the only employment he can find is at Macy’s department store - working in Santaland for the holiday season as a reluctant but relentlessly cheerful, elf. For mature audiences. Seating is general admission. Visit jpas.org for more information. Showtimes continue on Dec. 1-2, 7-9, 14-16, and 21-23.